kandeej.com: I get to PREMIERE something! YAY!! 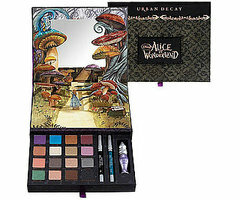 Three of my favorite things....You, Alice in Wonderland, and makeup!!! Can't wait to get it!! you are one of the only gurus that I trust. So I am def getting this because I trust you!! xD Ahh. I love those colors!! That make up kit is so cute!! AHHHHH I can't WAIT FOR THIS PALETTE!!!! I also can't wait to see how you use the color so hopefully I can do it too when I get mine :D.
I have Ulta gift cards so I'm gonna wait for it to hit Ulta - I just hope they don't sell out before I get it because I'm in DESPERATE need for new eyeshadow colors and these are PERFECT for me!!! AHHHHHHHH. cool! i've just recently gotten interested in make up etc after finding your site. thanks for teaching us tons of cool stuff! I really wanna buy this but I think they don't ship to south america..do they? i love your videos kandee! With all the wonderful products you endorse I hope they pay you royalties. I swear I have bought so many products that you have suggested. You are a walking ad for products I have never heard of or would normally never buy. You are so sweet to share your knowledge. YOU are the best!! Thank you for the preview of UD's Alice in Wonderland set. The colours look amazing! I'm glad they've added UDPP to this as well. A girl can NEVER have too much primer potion. OOO MMM GGG!!! you are soo lucky and live my dream! and you are truly inspiring with two kids!! how do you do it?? I have three and am just entering the Cosmetology field and am truly worried about the crazy hours!! I am sooo excited for this! I normally don't buy UD shadows, but I need this one! I hope it sells at Sephora and some macy's too! Do you know anything about that kandee? I mean, they wouldn't just restrict it to their own website right?! I never thought about using a primer for my eyeshadow, but I might start doing that because I have hooded eyelids (Asian eyes), which makes it hard to keep any eyeshadow from smudging. I'm Lynn & I'm from Malaysia. I love all your video & I found out that I love you to... You so nice lovely. 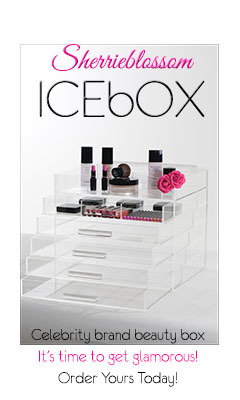 I love all urban decay products too. But I cannot buy it from urban decay.com since their sale only for people from U.S.A & U.K. So really hope if you can help me on this... & I mean it. heheh. Hope you can figure something out for me. I'll be ordering it as soon as it comes out! That palette looks amazing!! I'm in love with the colors. I wish I could buy it however they don't ship to Canada so unless Sephora gets some...I'm out of luck. Look I looked up the story to know what was being said by the other party. You are going to have to defend yourself, and boys are boys. I have nephews ..I know.. but left alone 12 year old male brains are capable of anything. The fact that your father came and picked up your son and he was not removed by child protective services is a good thing. Basically its hearsay. You just need to get your friend(the Hiker) Who is your Alibi to go to court on your behalf and tell the judge that people go for walks all the time and leave their kids at home. Its better to go without an attorney. YOu will get a slap on the wrist and anyone who knows you will really tell the truth. Dont worry.